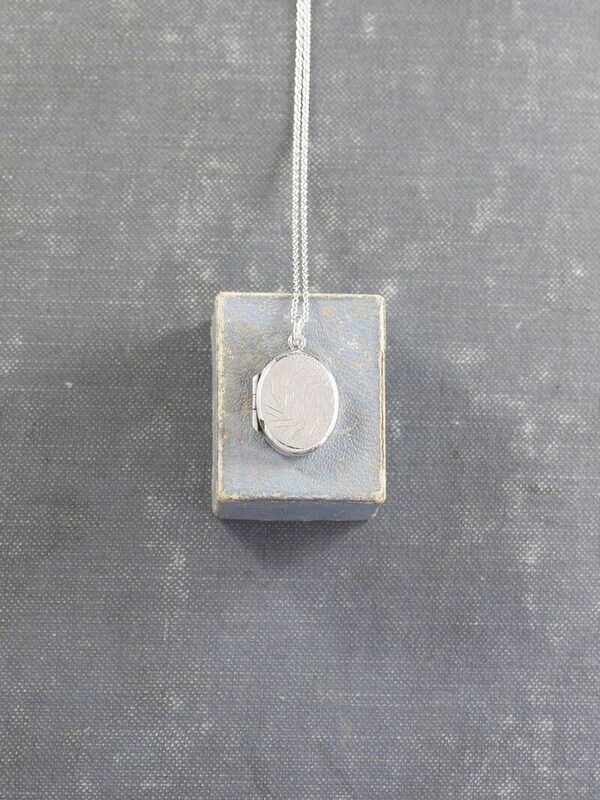 A small sterling silver locket is engraved with a windmill like design against a textured brushed matte background. 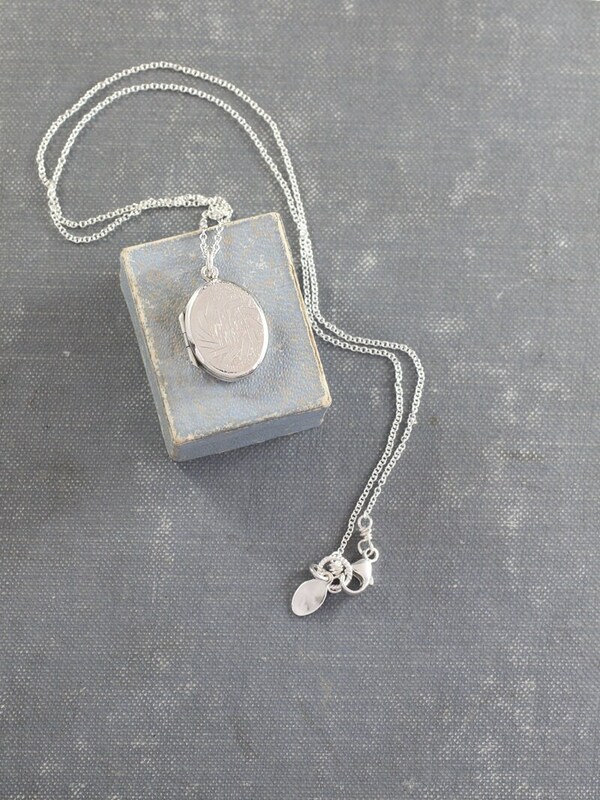 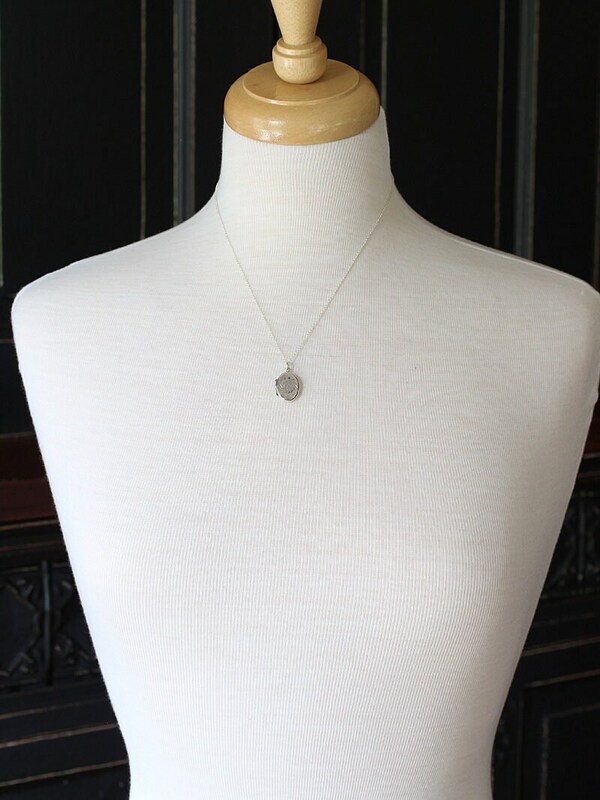 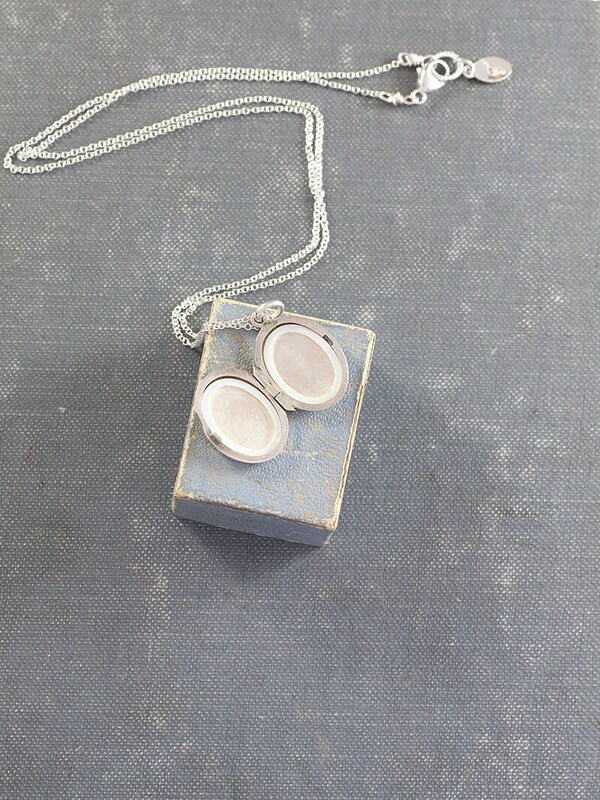 The dainty oval pendant opens to reveal two "frames" ready to hold your beloved photographs. 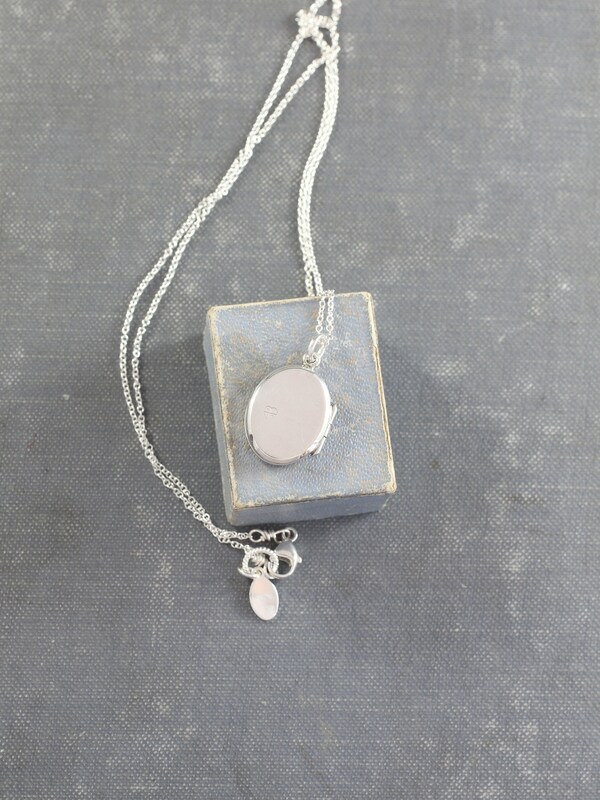 The design is set on a new silky smooth sterling silver chain hand finished with a trigger lobster clasp of the same.